In a potential breakthrough for the treatment of obesity and diabetes, Purdue University scientists have found a way to deliver a drug directly to stored white fat cells to turn them into more easily burned brown fat cells. White adipose tissue, most associated with obesity, is a type of fat that collects in the body for long-term storage of energy. It's possible humans evolved to store white fat to act as insulation and energy storage. However, as we have become over-fed and less active, we have less need for the energy stored in white fat and it over accumulates, leading to metabolic diseases such as diabetes and obesity. More than one-third of Americans are obese, and nearly 10 percent have diabetes, according to the Centers for Disease Control and Prevention. Brown fat is more readily burned by the body, dissipating energy into heat. Scientists, including Purdue's Meng Deng, assistant professor of agricultural and biological engineering, biomedical engineering and materials engineering, and Shihuan Kuang, professor of animal sciences, have been looking for ways to decrease white fat in favor of brown fat through a signaling pathway that is known to regulate cell differentiation and cell identity. In Notch signaling, a cell sends a signal to a neighboring cell to control that neighbor's gene transcription and its identity. Disrupting that signal in a progenitor cell destined to become one of the undesirable white fat cells leads to the creation of brown fat. "We can control the delivery to specific sites in the body, in this case the bad fat or white fat cells," Deng said. 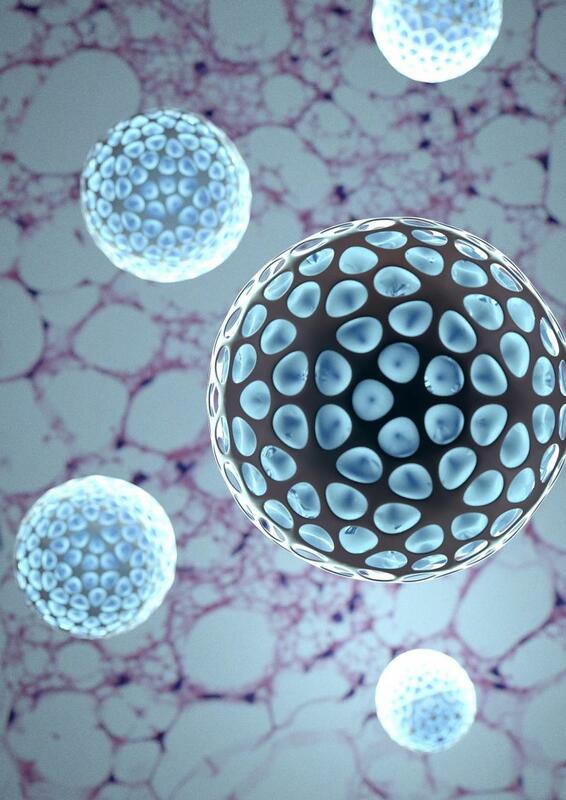 "Once those engineered particles are inside the fat cells, they can slowly release the drug in the cells, potentially limiting the off-target interactions in other tissue in the body and reducing the frequency of dosing." "The particle was actually picked up by the cell. It's like it's being eaten by the cells," Kuang said. "This limits the particle from going anywhere else." 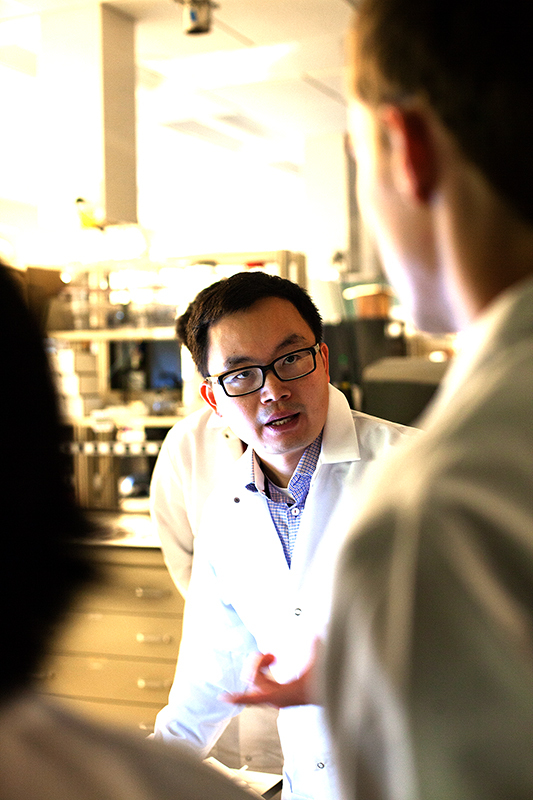 Since the nanoparticles containing the drug are injected into fat, Deng said it may be possible to develop therapies that target fat loss in specific parts of the body. 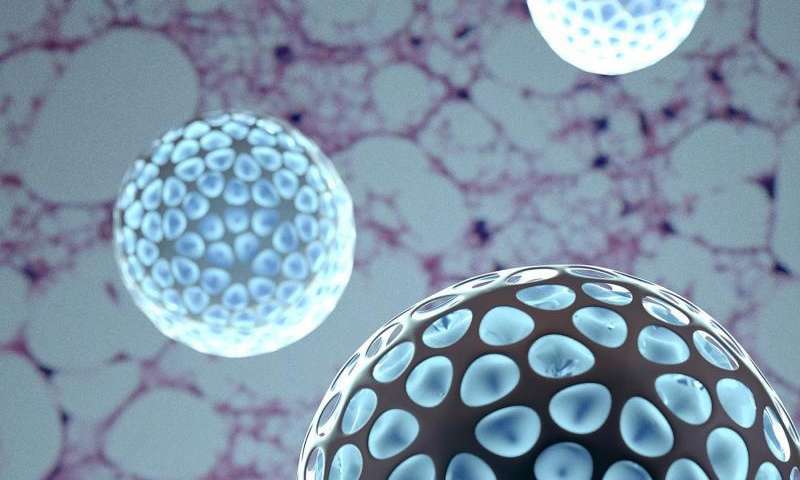 In the mouse model, targeting a specific fat depot with weekly injections of nanoparticles is sufficient to bring about systemic improvements in glucose tolerance and insulin sensitivity. Being overweight is also a contributing factor to developing type 2 diabetes. Removing excess fat would likely decrease the odds of developing the disease. 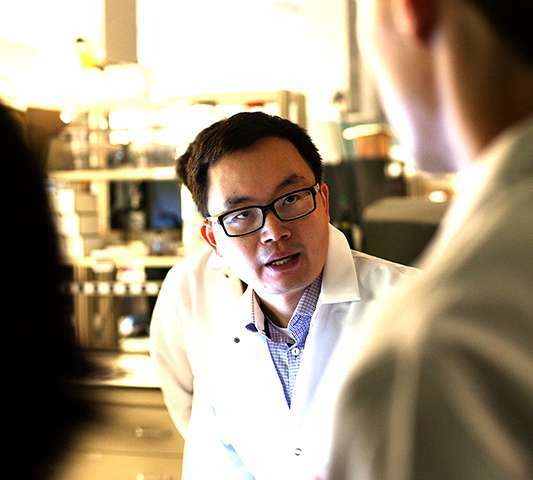 Deng has filed a patent for the process and has created a startup, Adipo Therapeutics LLC, to continue testing and eventually commercializing the technology.